Mr. Miller is beloved by his students too. “Mr. Miller is really interactive and teaches us cool things. He always greets us with a smile and kind words.” says a student, Katie Smolka. Another student of Mr. Miller’s, Connor Frank, shares “Mr. Miller is an amazing teacher. He is funny and always in a good mood.” Student, Harper Rudolph adds, Mr. Miller “helps you learn easily and makes it fun. 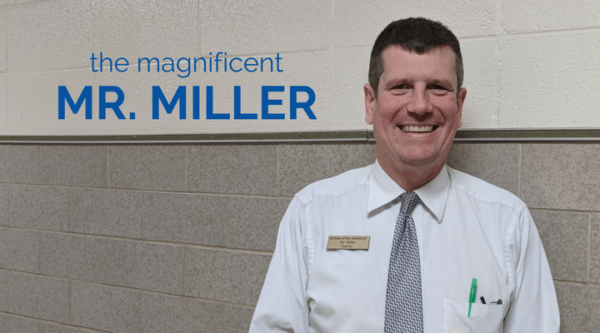 I like Social Studies because he uses cool Apps to help us learn.” Mr. Miller’s love of learning continues to shine through to his students and inspire that same love of learning in them.